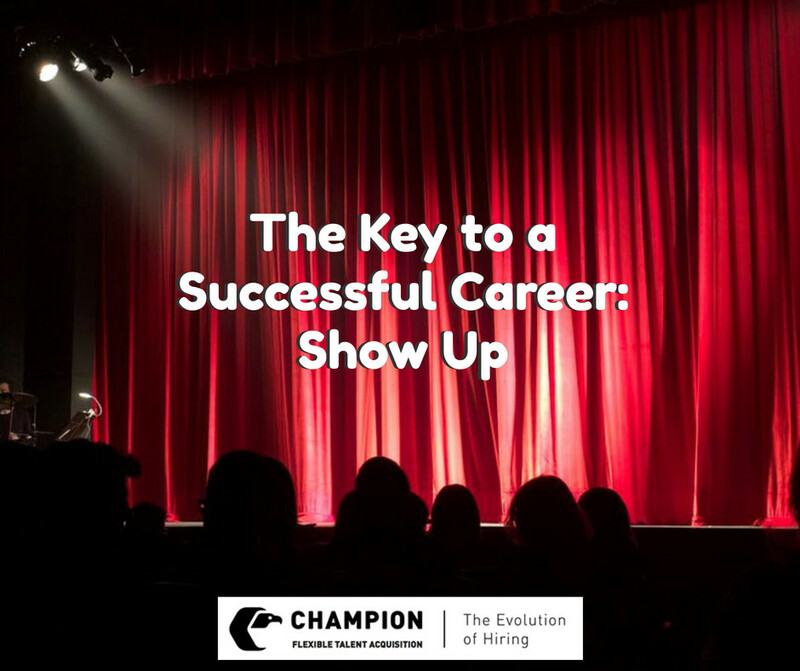 At Champion Personnel, we take great pride in our ability to help you find a good job. Then we help you make it a better job, which then allows you to have a better life. One of the best ways that we can help you find the right job is to match you with a mentor who will be there for you through your whole experience. 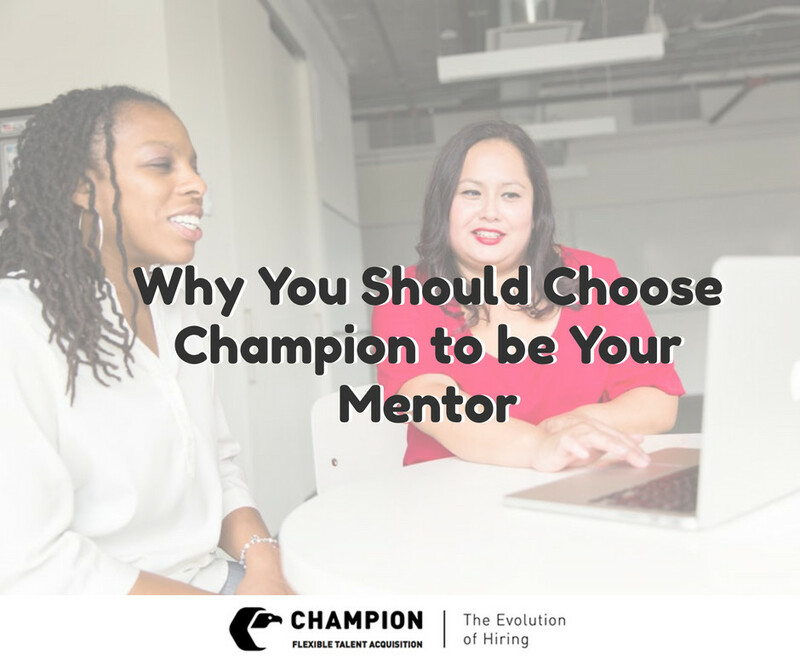 Having a mentor is one of the most critical components for a successful candidate, whether it is your first job or your tenth job, it doesn't make a difference. Find a mentor or find a coach, just find somebody who is going to help you through the good times and the not so good times. Everyone knows how stressful it can be trying to get a new job but having a mentor to talk you through the steps works wonders. A very key attribute for a mentor is being able to interpret what is happening on the job such as things you would expect or things you might not expect. Moreover, your mentor will help you overcome your hardships so that you don't run into brick walls causing you to stop being productive, quit, or get fired. This way you won’t have to start all over again. 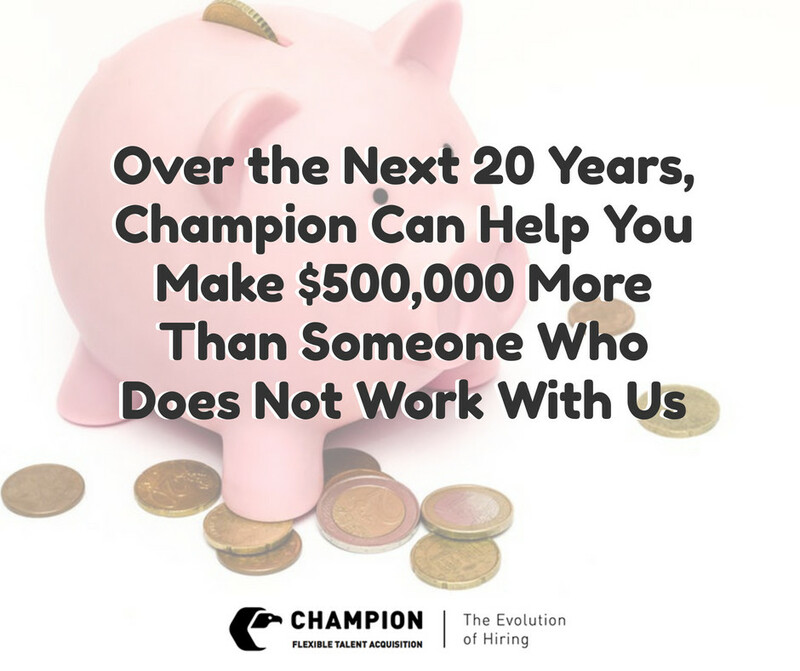 If you are looking to better your life by obtaining a better job, the key is to use Champion as a coach and a mentor. If you want to be successful, then you want someone in your corner helping you every step of the way! A Better Job A Better Life Tired of being constantly behind the eight ball, dodging people, bills, landlords, and governments? There is a way out. Not to throw cold water on you, but it is not an overnight solution, nor is it a government give-away. Champion can put you in a darn good job, with a darn good company, and teach you/ guide you how to make that job into a Better Job, that will lead to A Better Life. Isnt that what you want? The majority of employment agencies just want to get you working so they can bill their clients. Champion wants you to have a better life. Ask us how? Since 1964. 5 NE Ohio offices. Apply here: http://championpersonnel.com/apply-online/ Apply Today Or call our central office at: 216-823-5900.